Usher Raymond is one of the most prevalent R&B stars to come out of the 2000s. For the past few years, Usher has been consistent while not necessarily breaking any new ground as an artist. 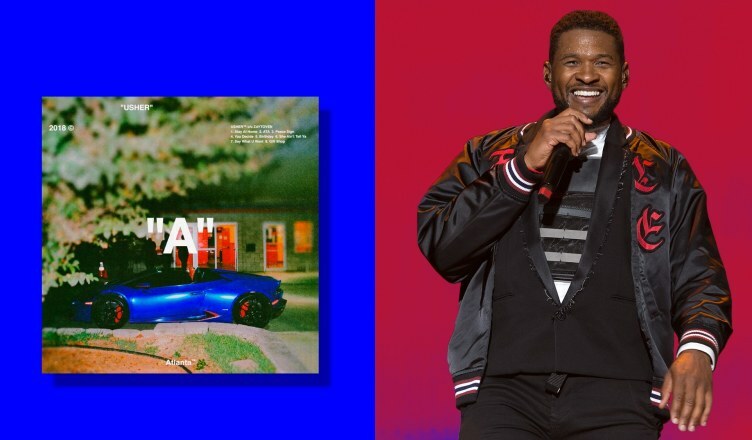 After rumblings in the past week, Usher made an announcement that a new album would be dropping at midnight on Oct. 12, and he made good by delivering this surprise release, “A.” However, this new album is a different venture for Usher, being a collaborative effort between him and fellow Atlanta producer Zaytoven. With a new producer in tow, the question on every fan’s mind is how these two artists’ styles will work off each other. To start, the layout of the record is very similar to the trend of “flash albums” that have been coming out as of late, such as “Kids See Ghosts” and their album of the same name, Pusha T’s “Daytona”, and Kanye West’s “Ye.” While this may leave the album feeling disjointed, I feel that this works to the album’s advantage by trimming the fat off the track listing and letting the higher-quality songs be included. Though the production of Usher and guest artists like Future sounds pristine, I can see this production style becoming dated in a few years. Also, I feel that guest artists Future and Gunna are somewhat misplaced on songs where Usher could have easily carried the entire track. However, this works to the advantage of some songs like “ATA,” whose wordless vocal hook is probably the best on the entire record. Also, I feel that the lyrics are a bit off for an artist of Usher’s stature. While he has built a reputation as being a womanizer, Usher’s verses do seem to be a tad stale as the album progresses. While songs like “She Ain’t Tell Ya” shows his braggadocious nature in a clear way, songs like “Birthday” and “Peace Sign” just seem as if Usher is on auto-pilot. However, tracks like “Say What U Want” show Usher as a mature lover asking for forgiveness from his partner. This is a welcome breath of fresh air from the rest of the subject matter and harkens back to songs like “Confessions” from the mid-2000s when Usher would be much more introspective with his lyrics. Overall, the album is incredibly lopsided, but I wouldn’t necessarily say that I disliked the experience. This album does have many flaws, but a few tracks show the mature ladies’ man that Usher has grown into. Those highlights are also kneecapped by some questionable production choices and other songs which don’t live up to the model that Usher has set for himself. As a whole, I would say that this album is worth picking up if you are a superfan, but if you are a fair-weather fan of Usher, I would wait for his next album for him to get back on track.